An EducatedCoaches.com fundamental belief is learning continues throughout a lifetime. Reading books, watching videos, observing other respected coaches, or taking classes are a few methods to enhance education over the course of a lifetime. In 2009, I decided to pursue a doctoral degree in sport management from the United States Sports Academy. The last four years have been a tremendous journey of gaining education on topics such as leadership, strategic planning, and sport psychology. This summer, I am performing a ten week internship in the education department at the National Soccer Coaches Association of America (NSCAA). This places me in Kansas City and a new town to explore. I am two weeks into my journey and have already met so many caring individuals that promote a culture of success. The skills I have learned and relationships built within my internship have improved my ability to be a leader and function in a positive fashion within a sport leadership setting. The NSCAA creates success through daily organizational performance leading to further educated soccer coaches. It is a meaningful internship in the process of educating coaches throughout America. Following this summer in Kansas City, I have two classes and a dissertation until I graduate. This accomplishment will be very gratifying but I fully understand and expect the process of learning to continue further enhancing my abilities and skills throughout the course of my life. Learning and becoming educated is something many people take for granted and believe that it just happens over the years without applying an intentional effort. Find and live your passion and the will to learn and become better will simultaneously appear. Over the course of the last four years I took an opportunity to become a full time youth soccer professional coaching athletes between the ages of 3 and 18. I have discovered an endeavor in which I feel passionate about making a difference in the life of all athletes I work with. It is fulfilling on a daily basis educating soccer students who look forward to being at that individual practice or game. For some of them, it is their favorite activity in their entire week. What a tremendous and amazing responsibility I have to create a memorable session that includes fun games that teach soccer. Participating in this role means I have to continue learning to become a better coach, listener, educator, helper, mentor, motivator, planner, and friend to each participant I work with. Dedication to education and being a lifetime learner is the answer to growing into a success. Grow your abilities, your character, your education, and your capacity and you will be amazed at the positive effect and influence you are able to have within society. Join the Educated Coaches on their quest to create sport environments that are understanding and focused upon development. Become a revolutionary by entering your e-mail address in the box on the right hand side of the column and follow Educated Coaches. Thanks for taking a positive role in the life of an athlete today! Previous Post Do You Know Why You Do What You Do? 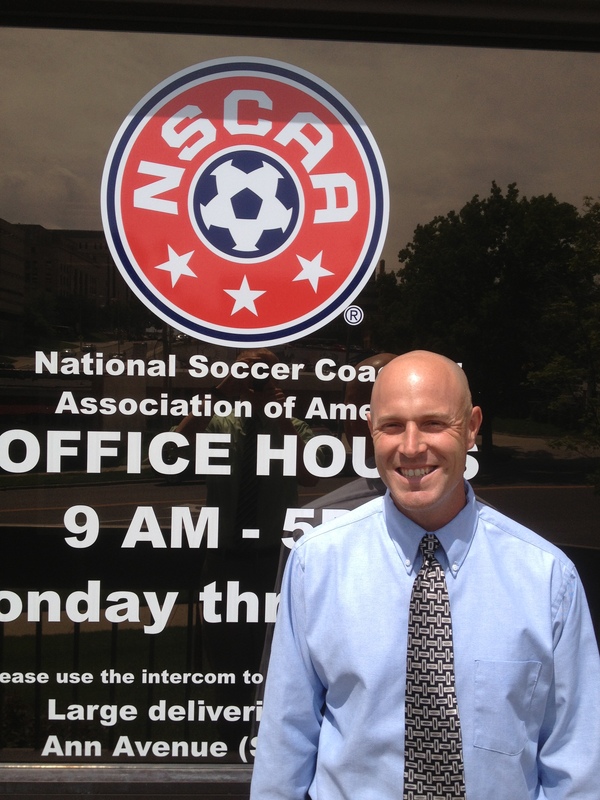 Brad, happy to have you at the NSCAA this summer! Ian. Reading these blog posts have helped me reflect on my own coaching/soccer teaching endeavors, and how I can learn from those teaching and playing around me. Thanks for taking part in this blog Chase. Your comments have been right on the money. Learning is continual and constant. Never stops. Keep updates coming. I surely will! Thanks for following the blog. Good on you Brad. Since we met in the 7th grade, I always knew you would be coaching/teaching in some sort of fashion. I hope success continues to follow you in everything you do. You deserve it buddy! I was pretty good at playing the bounce off of the roots!!! Thanks Pozzie!!! Thanks Jess – That’s how sucess is created!! !